Know of a WWI memorial that needs to be restored? If so, contact the Post Commander. 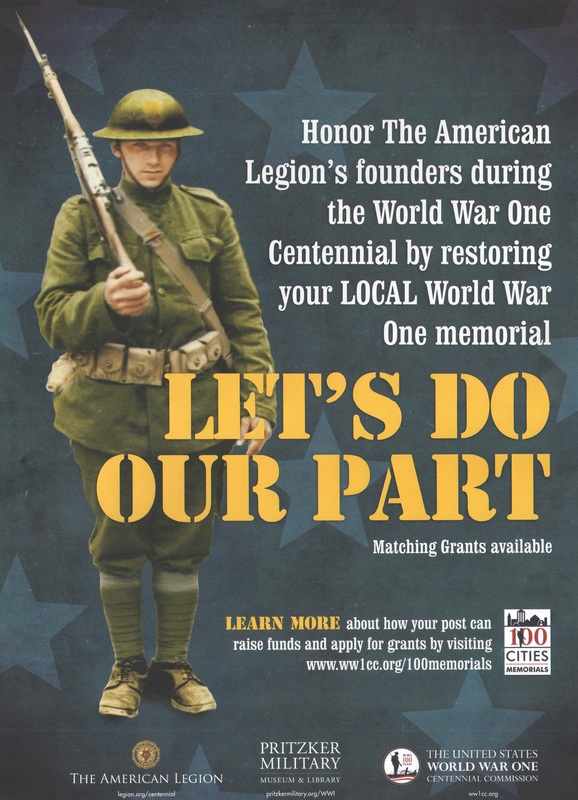 As part of the World War One Centennial, grants and fundraising assistance are available to do so. Click here to learn more about Restoring a Memorial. Click here to learn more about the WWI Centennial.